The sneaker that actually became a cultural phenomenon and a thorn to the side of the NBA, no other sneaker before or since has had the impact of the Air Jordan 1. In Unbanned: The Legend of AJ 1, which screened at this year’s Tribeca Film Festival, this amazing documentary documents the rise of sneaker culture. In what was an industry that centered on a shoe that, as hard as it to believe today, was boring, Unbanned shows the evolution of sneaker hierarchy. From the first really popular brand of kicks, Chuck Taylors from Converse, the Adidas Superstar, to the Converse Weapon that had been able to sign virtually every major NBA player from the 1980’s to endorse a pair in their team colors, none of these brands would ever reach the level of popularity Air Jordans did. That’s because there was never a player like His Airness, Michael Jordan, whom Nike built their sneaker around and made him the brand name. 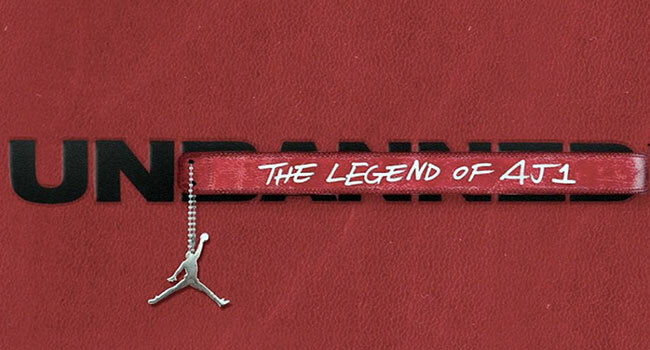 Air Jordan’s didn’t just impact the NBA, it impacted the culture, fashion, music, and even race. While we all know how popular the sneaker became, with interviews with musicians, filmmakers, fashion designers, sneakerheads, pro ballers, business insiders, and of course, Michael Jordan, behind the scenes we learn how much of a struggle Air Jordan’s actually encountered in trying to be NBA regulated footwear. We hear great stories about the back and forth between Nike and the NBA, the fines, the legal ramifications which then NBA commissioner David Stern had to be involved with on a daily basis in addition to running the NBA, to how inner-city youths were being killed for their Jordans, Unbanned excitingly tells the story of how one sneaker could revolutionize and redefining our culture, and inspire so many people to be like Mike.